These are vintage, from the 1980's, velour fabric covered buttons. They very soft to the touch. These have a metal shank. They measure 13mm. You will receive 6 pieces. 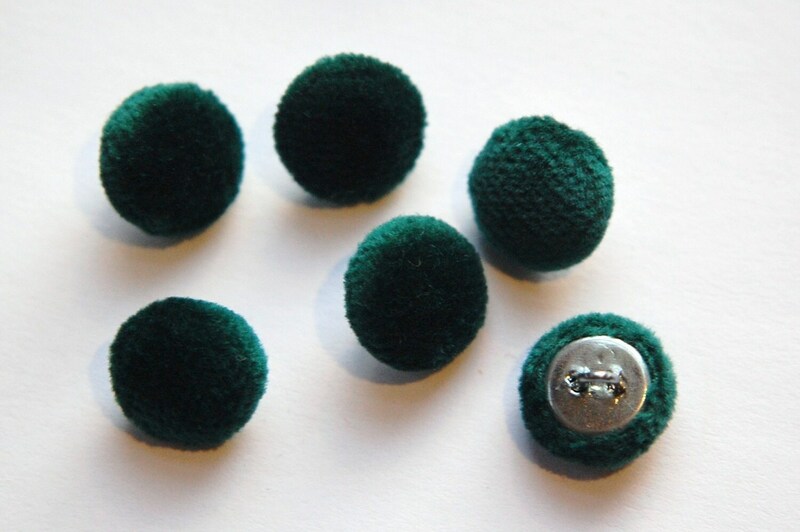 What a fun site, love it & these nice VTG green buttons, thank you! I got a package today. Shipping was fast from Canada.Thank you for nice package and good quality of stuffs.Very nice store.